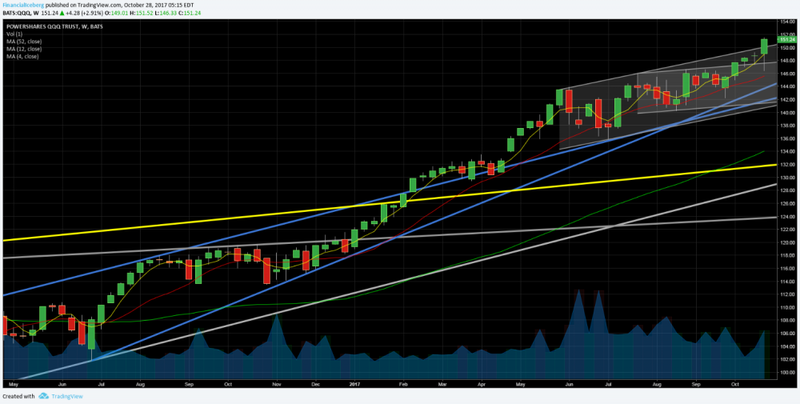 SPY ETF, a Weekly Hanging Man​. 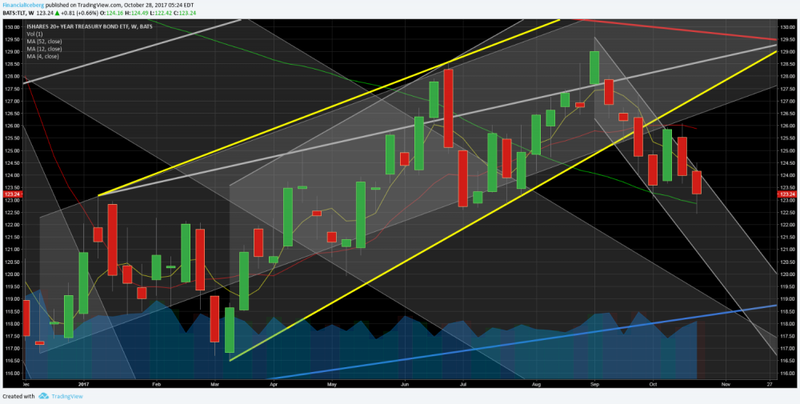 ​(See second chart below - Yellow Trendlines + Channel). 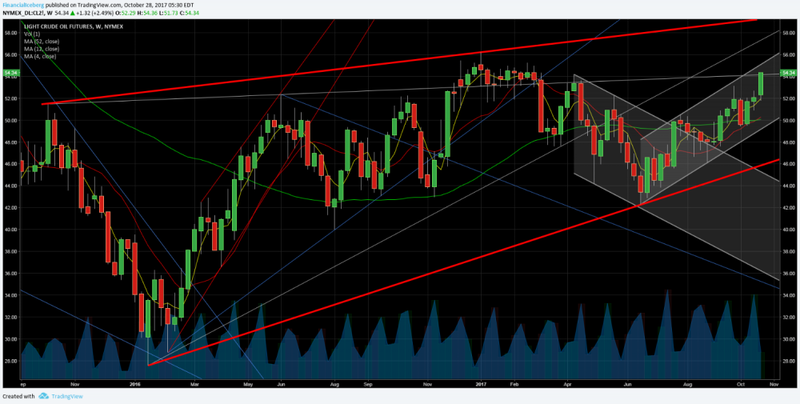 ​Trendline that Bears need to protect at all costs.​ Broke last week a Weekly Downtrend Channel and back above previous Breakdown Trendline (red). 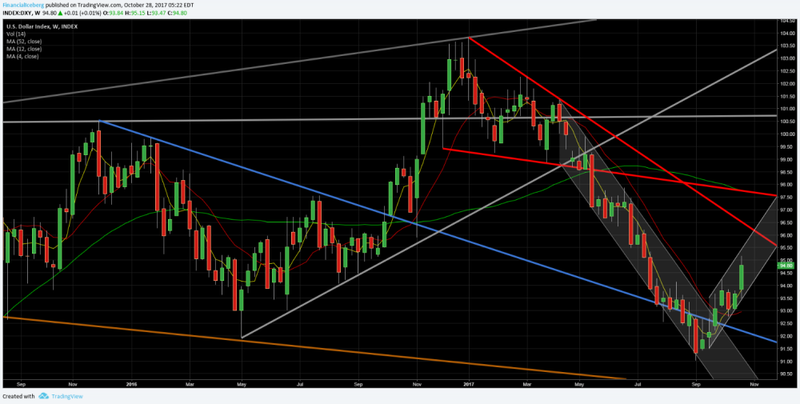 ​​​5) DXY Index (US Dollar Index) broke 5 weeks ago a Weekly Downtrend Channel. 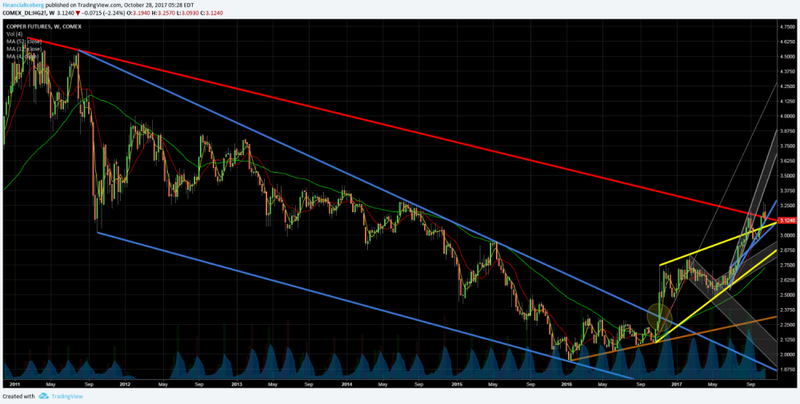 Back Above the Previous Weekly Breakout Trendline 5 weeks ago. 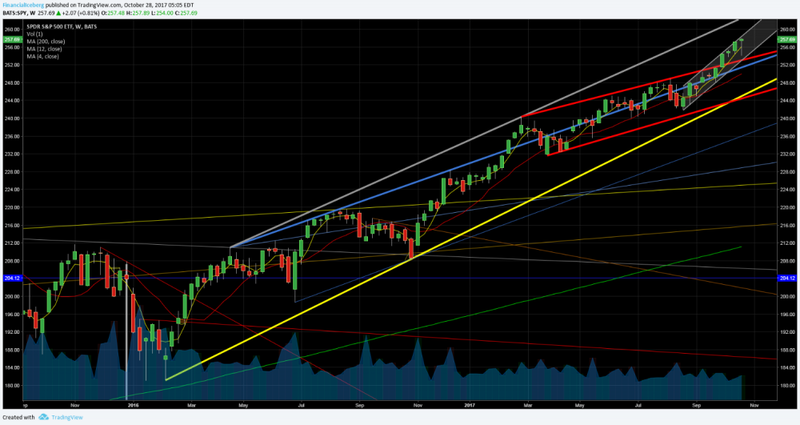 (See fifth chart below - Blue Trendline)​ + Into a Weekly Uptrend Channel. 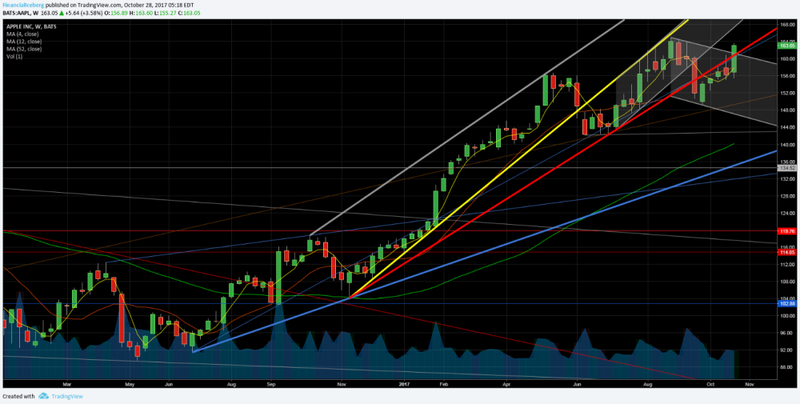 6) TLT ETF (iShares 20+ Year Treasury Bond ETF) Broke 5 weeks ago a large Weekly Rising Wedge Support Trendline. 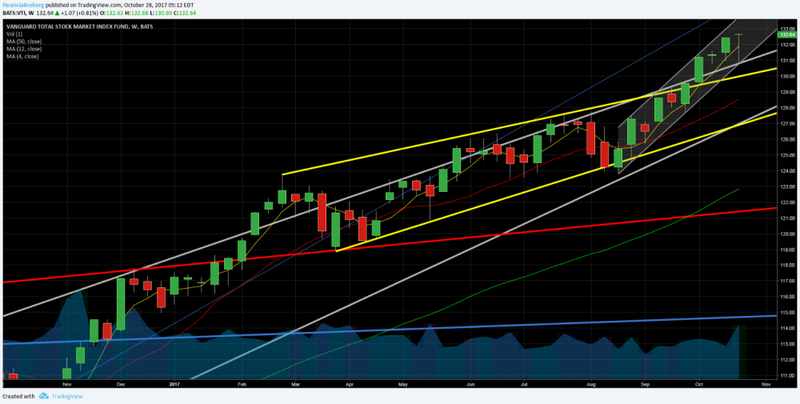 (See sixth chart below - Yellow Trendlines)​​ Tested and Rejected a Weekly Downtrend Channel Resistance. 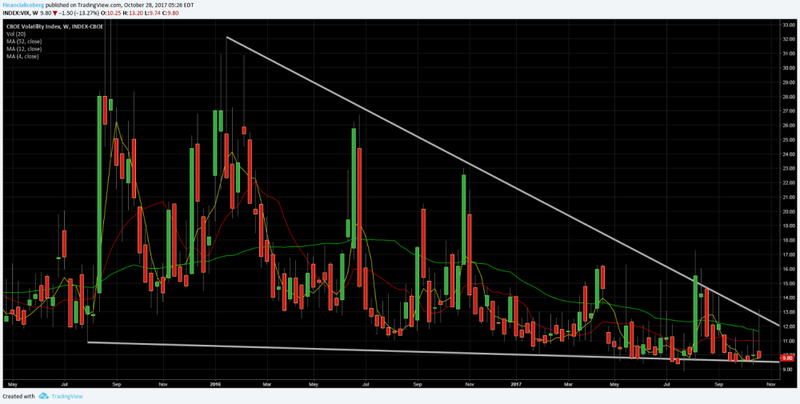 7) VIX Index (​SP500 Volatility-CBOE) Strong Price Compression within a Weekly Falling Wedge Technical Pattern. 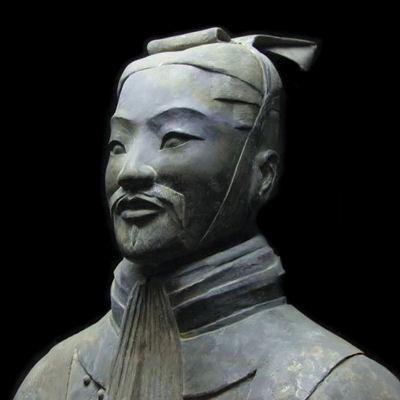 Back testing Support. (See seventh chart below - Grey Trendlines). The US stock market keep rising in a grinding way and reached new high ever last week on Technology stocks earnings results. Retail is still chasing Momentum and High Beta stocks in favor of Value stocks, a situation that is becoming quite speculative.